Description of Project: More and more people in Amsterdam use the bike as preferred way of transport. The municipality encourages this culture, although many cyclists need many bikes and a good bike infrastructure. 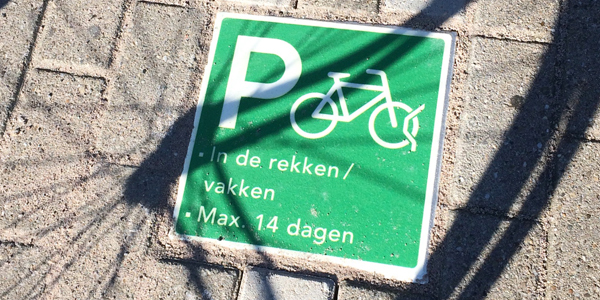 In the last years it had become a big challenge for Amsterdam to ensure that there is sufficient parking for cyclists, that cyclists use these amenities and know how to find them. For an optimal findability of the bicycle racks and a clear, consistent communication regarding the bike parking rules Mijksenaar has advised and designed a parking strategy that next to communication on bicycle rules could ensure optimal use and findability of the existing parking capacity called: ‘Bike Rules’.